Calaméo - Why Should a DJ Get Insurance for DJs? Why Should a DJ Get Insurance for DJs? 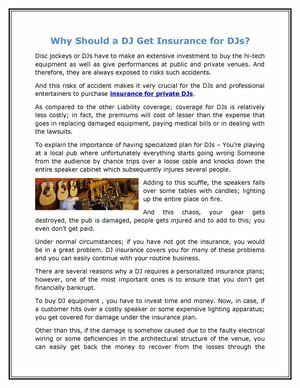 The author here talks about Insurance for DJs and lists down larger benefits that comes from the insurance. He further explains these benefits in great details.